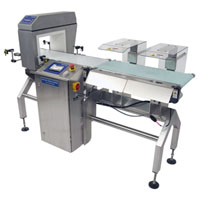 An essential part of a comprehensive contamination control program, food metal detectors are primarily used in food and pharmaceutical industries to detect metal contamination in packets or products. With the highest accuracy and reliability, a food metal detector has the ability to detect all types of metals - whether it is ferrous, non-ferrous, or stainless steel. 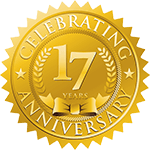 It plays a prominent role in ensuring product safety, equipment protection and regulatory compliance in the food industry. Safeline Compact Metal Detector The Safeline Compact metal detector is an effective and economical inspection solution for dry to moderate wash down environments. Incorporating Mettler-Toledo Safeline patented “zero-metal-free-zone” (ZMFZ) technology, detectors can be installed in the smallest of spaces to minimize overall line length. The demands of regulatory bodies and customers are met by the delivery of excellent performance with high sensitivity for the detection of ferrous, non-ferrous and stainless steel contaminants.